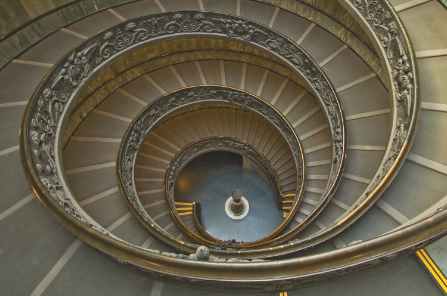 Celebrating the spirit of the Renaissance, Florence Capital Advisors presents a fresh model in wealth management: resource-rich, innovative, transparent. As an independent firm, we offer a tailored approach to creating custom portfolios designed to capitalize on our ability to source unique opportunities from around the globe. -Leonardo Da Vinci Simplifying the investment process is a hallmark of our unique approach. From tax-favored investing to raising capital, our insight and network prove essential in today’s markets. Because we consider each client a partner, we ensure each an elite experience. 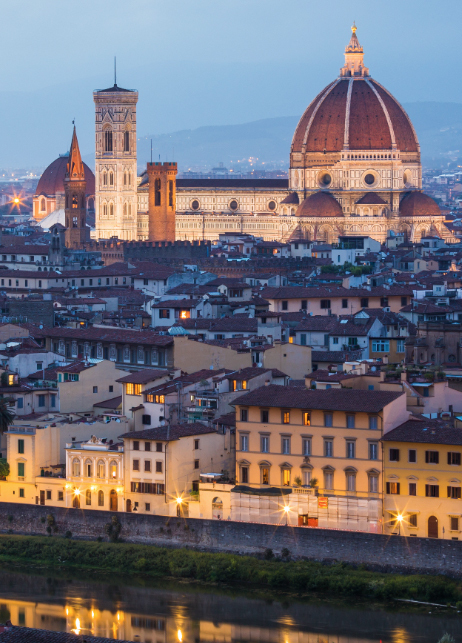 Reflecting the spirit of Florence, Italy as the birthplace of the Renaissance, Florence Capital Advisors offers clients a fresh and innovative wealth management model characterized by exceptional advisory skill, unique investment opportunities, and attentive client service. Whether growing capital or protecting and preserving wealth, we provide clients with deep expertise and an extensive network of opportunity to facilitate the achievement of their most important financial goals. To qualify for the Financial Times’ “Top 400 Advisors” list, advisers must have ten years of experience and at least $200 million in assets under management (AUM). Qualified advisers are then scored on six attributes: AUM, AUM growth rate, compliance record, experience, industry certifications and online accessibility. Barron’s “Top 1200 Financial Advisors” rankings are presented on a state-by-state basis and compiled using a range of performance and community service-based criteria, including assets under management, revenue produced for the firm, regulatory record, quality of practice and philanthropic work. Advisors on REP Magazine’s “Top 40 Wirehouse Advisors Under 40” list are ranked exclusively by assets under management custodied at the four wirehouse firms. Only advisors for whom 60 percent or more of assets correspond to retail clients were eligible for the list. Advisors must be under the age of 40 as of August 2013. Florence Capital Advisors seeks to provide an enhanced, client-focused business model within the wealth management industry represented by advanced thought leadership, extensive reach, and innovation. 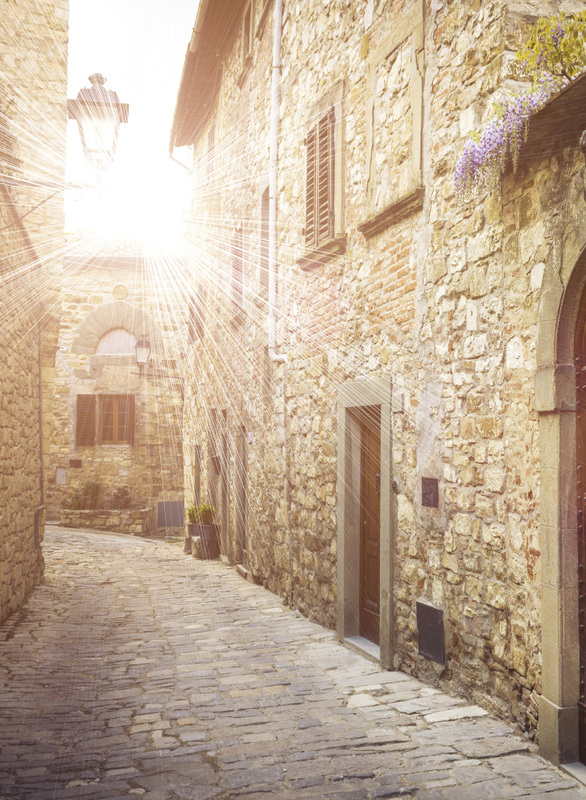 Celebrating the birthplace of this era with its moniker, Florence Capital Advisors will come to signify the renaissance of the family wealth advisor through an enlightened and progressive approach to achieving exceptional service and performance for our clients. We are your advisor, but as critical, your collaborator in all things important to achieving your financial goals. As such, trust, absolute objectivity and integrity are cornerstones of our relationship as your fiduciary. With nearly 15 years of experience, Founder and CEO Greg Hersch has established himself as a renowned money manager and wealth advisor, offering proven expertise for clients seeking to grow capital, as well as for those looking to protect capital and preserve wealth. The firm is especially adept at effecting tax-efficient planning strategies, helping entrepreneurs raise early stage growth capital and advising owners on financial impacts of sale, merger or initial public offering of their companies. We have the ability to source unique investment opportunities for clients through an established, expansive – and now growing – network of opportunity. Direct access to the industry’s full complement of financial products and services enables us to offer our clients opportunities in all the world’s major capital markets, private markets and from leading financial, advisory and professional services firms. Capitalizing on a vast network of connections in the world of finance ensures clients access to the most sophisticated thought leaders and specialized finance professionals in the industry today. Because we are independent advisors, our recommendations are objective, transparent and free from outside influence. As fiduciaries, we hold our clients’ interests first and foremost above everything else we do. The philosophy we embrace in forging our clients’ financial plans is no different from that which we apply to our own. One of the key reasons for independence is to be free of corporate limitations and able to focus completely and exclusively on client well-being. Florence Capital Advisors places an emphasis on elite service, the capacity to listen to our clients, translate their needs into structured solutions and execute flawlessly for long-term performance. As our relationships last for years, so does our investment approach. Our goal is to design strategies and diversify portfolios to reduce risk, enhance return and maximize stability over the long-term. We believe the best strategies are those that are thoughtful and forward looking, measured not in days or months, but in years. To provide highly attentive wealth management services, including a comprehensive range of compelling investment and advisory solutions, which strive to deliver exceptional risk-adjusted returns throughout a market cycle. Supported by our rigorous and disciplined due diligence process, we present clients only the most attractive opportunities across the investment spectrum. As an independent firm, we have built a platform that is highly differentiated and transparent. In all we do, we promise clients unconditional objectivity, integrity, and alignment of interests. 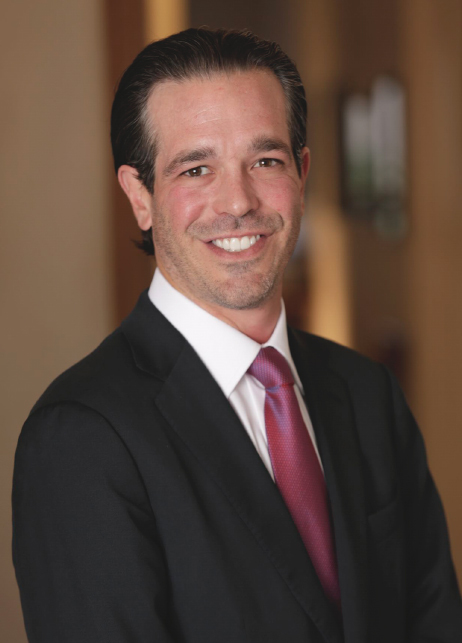 Greg Hersch brings over 15 years of investment and wealth management experience to the firm. As a well-known client advocate and trusted advisor, he has helped his clients weather challenging financial markets and maximize opportunities in times of market growth. His advisory experience has proven essential to entrepreneurs seeking early stage growth capital and wealth management strategies upon liquidity events. For business owners considering sales, mergers and IPOs Greg couples advisory acumen with deep knowledge of how to best structure these transactions in order to protect and transfer wealth. As Florence Capital CEO, Greg guides the overall strategic direction of the firm and sets the vision for excellence in client relationships. Using his own family and personal capital as the model, Greg directs the team on investment strategy, including asset allocation, product selection, due diligence and both traditional and alternative investments. With several recognition awards, including Financial Times’ “Top 400 Advisors” for three consecutive years (2013, 2014, 2015), Barron’s “Top 1200 Financial Advisors” (2014, 2015), and REP. Magazine’s “Top Ten Wirehouse Advisors Under 40” (2015), among others, Greg has established himself as a trusted, industry-leading advisor both with his clients and in the financial services industry as a whole. Prior to founding Florence Capital, Greg was a Senior Vice President with UBS Financial Services and Vice President with Smith Barney. A Certified Investment Management Analyst®, Greg earned his B.A. Degree in History at Georgetown University. An avid volunteer at a young age, Greg started serving in the community when he was just 13, inspired by his mother’s volunteer work. He has served on the Board of Trustees of the Kips Bay Boys & Girls Club for more than 10 years and is also the former chair of its Investment Committee for endowment and scholarship funds. A highly sought after board member, Greg currently sits on the Board of Directors for two private enterprises: HALO Maritime Defense Systems, a maritime security company, and Modern Guild, a mentoring organization that focuses on career preparation for college and high school students. Outside of his work at Florence Capital, Greg is an accomplished golfer and member at Quaker Ridge Golf Club. He lives in Manhattan with his beloved Labrador retriever, Bear, and enjoys travel, golf, yoga and playing the guitar. At Florence Capital Advisors, our core focus is on delivering exceptional service to our clients. We are distinguished by elite service, long-term collaborative relationships and trust. Nothing is more important than giving our clients the peace of mind that comes from advice that is insightful and appropriate. Nothing is more indicative of our expertise than to produce performance that is consistently delivered throughout a market cycle. Effectively structured to operate as a family office serving family offices, we have intimate knowledge of the issues, challenges and opportunities our clients face. We are trusted to manage their portfolios in the way we would manage our own, building solid relationships with clients’ lawyers, accountants and business managers to effect appropriate wealth management solutions. Family foundations and endowments have specific needs regarding investments, while simultaneously monitoring costs, managing compliance and board member expectations, and balancing other unique issues. Our understanding of the specific needs of foundations and endowments, gleaned through multiple board memberships, enables us to address these particular concerns while producing outstanding results for these organizations. Our investment approach is rooted in collaboration to ensure a thorough understanding of our clients’ needs, future goals and appetites for risk. It’s only then that we can devise a custom asset allocation strategy that delivers results. Our investment philosophy balances asset allocation, tax efficiency and cost effectiveness with goal-driven investing. Ongoing communication assures flexibility and agility to meet changing market conditions as well as changes in your personal situation and goals. At Florence Capital Advisors, our goal is to design strategies and diversify portfolios to reduce risk and enhance return over the long-term. Our emphasis is on risk budgeting and managing for risk, not on short-term portfolio performance. We’ve found that thoughtful, progressive strategies deliver best for sustained long-term capital preservation. Simplicity is indeed elegance. Simplifying the investment process and the products used is a hallmark of how the firm approaches investing. Adherence to prudent risk management principles, unbiased macroeconomic research and attention to behavioral finance principles drives asset allocation. Expertise in portfolio management is best illustrated by our record of performance. At Florence Capital Advisors, it is backed by rigorous due diligence, intimate familiarity with the markets, experience and a long-term perspective. We use a combination of in-house and carefully vetted external managers as appropriate, to ensure our clients’ portfolios remain relevant and appropriate as their needs evolve over time. An essential benefit for clients is that, as an independent firm, we have the ability to source an unlimited variety of investment opportunities and advanced thought leadership from around the world. Your work, your lifestyle, your life require solutions that are crafted to your needs and your goals, because they are unique. Florence Capital was founded to help you create the solutions that meet your needs. We work with a number of global financial resources to provide you with margin and non-purpose loans covering art, aircraft, mortgages and other more complex lending needs. We protect your wealth with both traditional and private placement life insurance as well as variable annuities, where appropriate. The key to preparing and executing large monetization events such as pre and post IPO planning, block trades, 144 sales, and business transfers requires a solid cash flow analysis and a planned and skillfully executed liquidity strategy, which we specialize in. Concentrated portfolios is always part of wealth accumulation. How do you protect it? By using sophisticated hedging and diversification strategies, we can help you mitigate the inherent risks of concentrated portfolios and individual holding. Free from corporate mandates, we now have the liberty to offer clients a variety of unique and effective strategies in such areas as tax-favored investments and insurance, alternative investments and private equity. Our network of opportunity connects clients to the industry’s leading experts in financial services, giving clients assurance that whatever and however complex their need, Florence Capital Advisors can meet it with appropriateness, timeliness and performance. Florence Capital Advisors has extensive experience advising clients on the optimal wealth transfer strategies, including charitable giving and trust and estate planning, to achieve their goals. We work closely with clients’ estate planning attorneys and other experts to help minimize tax exposure and maximize family harmony as wealth passes from one generation to another. We also assist clients in crafting and administering business succession plans. Integral to each client relationship is a collaborative development to ensure proper liquidity for current requirements, new investment opportunities and unexpected emergencies. Whether you want to explore a new business opportunity or employ complex trading strategies, we work in partnership with you to craft those liquidity solutions that help you to achieve your most important goals. For clients seeking to raise capital, we offer advice on sourcing strategies in both the public and private markets. Our extensive contacts in the financial services industry assure fruitful introductions to key strategic partners and investors. A proponent of tax-efficient strategies, Florence Capital Advisors advocates the use of private placement life insurance (PPLI) and Private Placement Variable Annuities to help clients grow capital while mitigating tax liabilities. This tool is often used in conjunction with complex planning strategies and philanthropy as a powerful estate planning tool. Given the burgeoning pace of technology, a wide spectrum of specialty firms have emerged that offer advanced financial planning tools, expanded access to products and investment opportunities and back-office services to support independent firms like Florence Capital Advisors. Our partnerships with these specialists in the financial services industry give our clients access to a fully-integrated platform created to meet sophisticated objectives. We leverage and customize the right products and services for specific needs, providing a boutique client experience with global-scale resources. EMoney Advisor provides technology and services that enable financial professionals to deliver scalable advice and build collaborative relationships with clients. Through the emX Product Suite, eMoney’s technology delivers a seamless digital wealth management experience anchored in an award-winning client portal, dynamic financial planning, powerful and protected data aggregation, deep integrations, robust analytics and more. Winged Keel Group is an independent life insurance brokerage firm that seeks to create and implement customized, multi-generational wealth accumulation and wealth transfer strategies for ultra high net worth families. We specialize in the structuring and administration of large life insurance and annuity portfolios that enable our clients to achieve their financial goals. Addepar is the financial operating system designed to bring common sense and ethical, data-driven investing to our financial world. Addepar handles all types of assets in any currency so investors and advisors have a clearer financial picture at every level, all in one place. With customizable reporting, financial managers can visualize and communicate relevant information to anyone who needs it. Secure, scalable, and fast, Addepar is purpose-built to power the global financial system. With offices in Silicon Valley, New York, Chicago and Salt Lake City, Addepar works with more than 200 single and multi-family offices, wealth advisors, large financial institutions, endowments and foundations representing more than $500 billion assets under management. The Florence Capital Advisors website is intended only for your personal, non-commercial use, unless you and Florence Capital Advisors have agreed otherwise in writing. Florence Capital Advisors is an SEC-registered investment advisor based in New York, New York. A copy of our written disclosure statement discussing services and fees is available upon request. Before investing, consider the investment objectives, risks, charges and expenses of the fund and its investment options. Contact Florence Capital Advisors for a prospectus containing this information. Read it carefully. 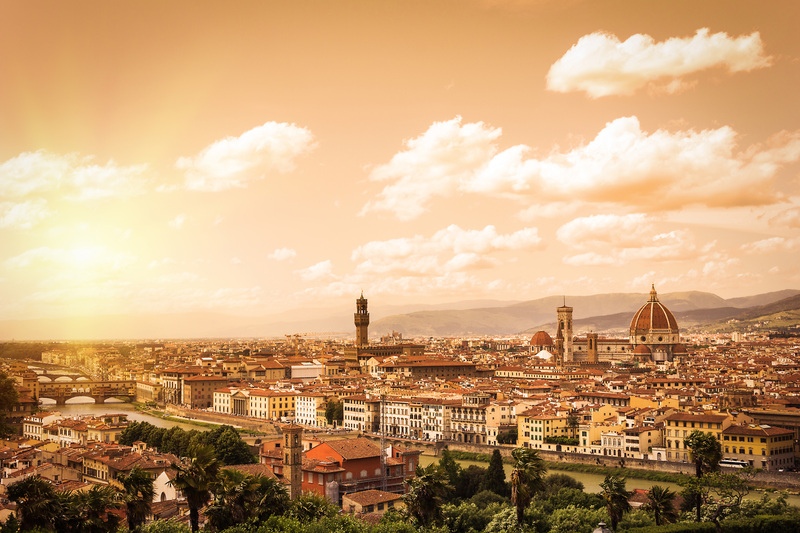 The Florence Capital Advisors website is intended to be made available only to persons in the United States, and the information on this website is for such persons only. Nothing on the Florence Capital Advisors website shall be considered a solicitation to buy or an offer to sell a security, or any other product or service, to any person in any jurisdiction where such offer, solicitation, purchase or sale would be unlawful under the laws of such jurisdiction. Generally, the Florence Capital Advisors website is not intended to provide tax, legal, insurance or investment advice, and nothing on the Florence Capital Advisors website should be construed as an offer to sell, a solicitation of an offer to buy, or a recommendation for any security by Florence Capital Advisors or any third party. However, certain tools available on the Florence Capital Advisors website may be deemed to provide general investment advice within the meaning of the securities laws based upon our clients’ personalized input. The Florence Capital Advisors website is protected by applicable copyright laws. Accordingly, you may not copy, distribute, modify, post or frame-in the Florence Capital Advisors website, including any text, graphics, video, audio, software code, user interface design or logos. Unless you and Florence Capital Advisors have agreed otherwise, links from another website to the Florence Capital Advisors website must revert to the top-level homepage of the Florence Capital Advisors site (www.FlorenceCapital.com). In order to avoid confusion if you do link from another website to the Florence Capital Advisors top-level homepage, your website, and the link itself, may not suggest that Florence Capital Advisors endorses, sponsors or is affiliated with any non-Florence Capital Advisors website, entity, service or product, and may not make use of any Florence Capital Advisors trademarks or service marks other than those contained within the text of the link. All trademarks and service marks on the Florence Capital Advisors website belong to Florence Capital Advisors or an affiliate, except third-party trademarks and service marks, which are the property of their respective owners. -A statement by you, made under penalty of perjury, that the information you provide in your notice is accurate and that you are the owner of the allegedly infringed copyright, or that you are authorized to act on behalf of the copyright owner. Any and all official complaints should be directed to info@FlorenceCapital.com. Florence Capital Advisors (“Florence Capital Advisors”) is an SEC-registered investment advisor located in the state of New York. Florence Capital Advisors and its representatives are in compliance with the current filing requirements imposed upon SEC-registered investment advisors by those states in which Florence Capital Advisors maintains clients. Florence Capital Advisors may only transact business in those states in which it is registered, or qualifies for an exemption or exclusion from registration requirements. The Florence Capital Advisors website is limited to the dissemination of general information pertaining to its Advisors’ services, together with access to additional investment-related information, publications and links. Accordingly, the publication of the Florence Capital Advisors website on the Internet should not be construed by any consumer and/or prospective client as Florence Capital Advisors’ solicitation to effect, or attempt to effect transactions in securities, or the rendering of personalized investment advice for compensation, over the Internet. Any subsequent, direct communication by Florence Capital Advisors with a prospective client shall be conducted by a representative that is either registered or qualifies for an exemption or exclusion from registration in the state where the prospective client resides. For information pertaining to the registration status of Florence Capital Advisors, please contact the SEC or the state securities regulators for those states in which Florence Capital Advisors maintains a notice filing. A copy of Florence Capital Advisors’ current written disclosure statement discussing Florence Capital Advisors’ business operations, services and fees is available from Florence Capital Advisors upon written request. Florence Capital Advisors does not make any representations or warranties as to the accuracy, timeliness, suitability, completeness or relevance of any information prepared by any unaffiliated third party, whether linked to the Florence Capital Advisors website or incorporated herein, and takes no responsibility therefore. All such information is provided solely for convenience purposes and all users thereof should be guided accordingly. Fidelity Investments (“Fidelity”) and Pershing LLC (“Pershing”) are registered broker-dealers, and are not affiliated with Florence Capital Advisors or any advisor(s) whose name(s) appear(s) here. Florence Capital Advisors is independently owned and operated. Regardless of any referral or recommendation, Fidelity and Pershing do not endorse or recommend the investment strategy of any advisor. Fidelity and Pershing have agreements with Florence Capital Advisors under which they provide Florence Capital Advisors with services related to your account. Fidelity and Pershing do not review the Florence Capital Advisors materials and make no representation regarding information contained in the Florence Capital Advisors marketing materials, which should not be considered either a recommendation by these companies or a solicitation of any offer to purchase or sell any securities. Please remember that different types of investments involve varying degrees of risk, and there can be no assurance that the future performance of any specific investment or investment strategy (including those undertaken or recommended by Florence Capital Advisors), will be profitable or equal any historical performance level(s). Certain portions of the Florence Capital Advisors website (i.e., newsletters, articles, commentaries, etc.) may contain a discussion of, and/or provide access to, Florence Capital Advisors’ (and those of other investment and non-investment professionals) positions and/or recommendations as of a specific prior date. Due to various factors, including changing market conditions, such discussion may no longer be reflective of current position(s) and/or recommendation(s). Moreover, no client or prospective client should assume that any such discussion serves as the receipt of, or a substitute for, personalized advice from Florence Capital Advisors or from any other investment professional. Florence Capital Advisors is neither an attorney nor an accountant, and no portion of the website content should be interpreted as legal, accounting or tax advice. Rankings and/or recognition by unaffiliated rating services and/or publications should not be construed by a client or prospective client as a guarantee that he/she will experience a certain level of results if Florence Capital Advisors is engaged, or continues to be engaged, to provide investment Advisor services, nor should it be construed as a current or past endorsement of Florence Capital Advisors by any of its clients. Rankings published by magazines, and others, generally base their selections exclusively on information prepared and/or submitted by the recognized advisor. To the extent that any client or prospective client utilizes any economic calculator or similar interactive device contained within or linked to the Florence Capital Advisors website, the client and/or prospective client acknowledges and understands that the information resulting from the use of any such calculator/device, is not, and should not be construed, in any manner whatsoever, as the receipt of, or a substitute for, personalized individual advice from Florence Capital Advisors, or from any other investment professional. Each client and prospective client agrees, as a condition precedent to his/her/its access to the Florence Capital Advisors website, to release and hold harmless Florence Capital Advisors, its officers, directors, owners, employees and agents from any and all adverse consequences resulting from any of his/her/its actions and/or omissions which are independent of his/her/its receipt of personalized individual advice from Florence Capital Advisors. This website is provided for informational purposes only. Investing involves risk and investors should be prepared to bear potential losses. Past performance may not be indicative of future results. No portion of any statement included herein is to be construed as a solicitation to buy or sell a security or the rendering of personalized investment advice over the Internet. Florence Capital Advisors is an SEC registered investment advisor that maintains a principal place of business in the State of New York. The firm may transact business only in those states in which it is notice filed or qualifies for a corresponding exemption from such requirements. 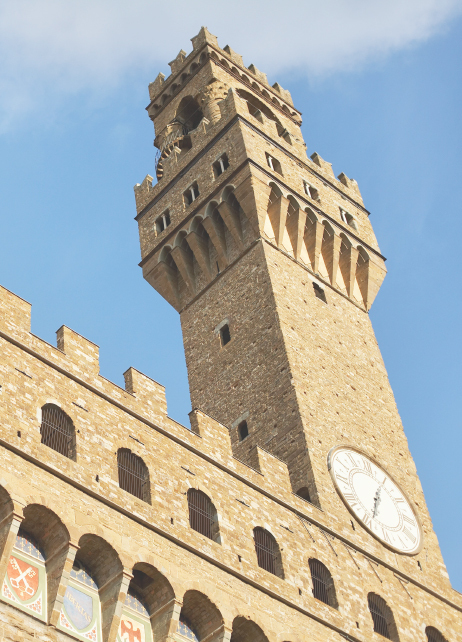 For information about Florence Capital Advisors’ registration status and business operations, please consult the Firm’s Form ADV disclosure documents, available upon request.